Rebel’s early release: Shock on ferry! | AUTHOR. ACTOR. SWORDSMAN. ← Second Draft – My Favourite Part? Rebel’s early release: Shock on ferry! A friend arrived for the weekend. ‘Look what I saw on the ferry,’ he said. 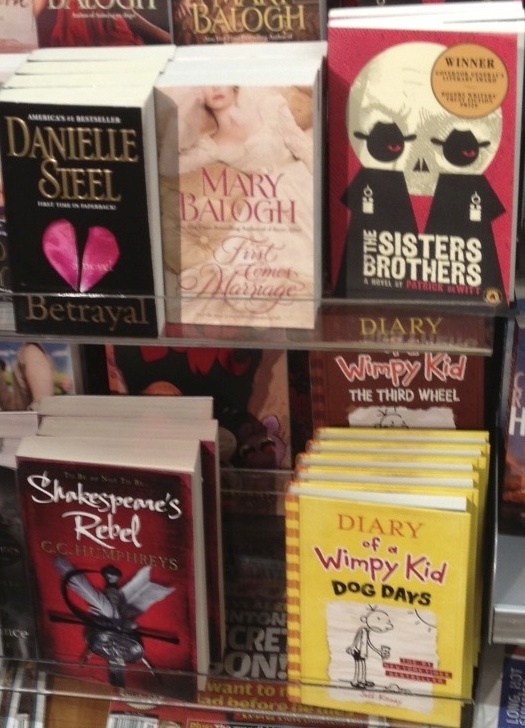 … I’m next to ‘Diary of a Wimpy Kid’. At last, in his eyes, I’ve made it. I am nearly cool. This entry was posted in Uncategorized and tagged historical fiction, novels, publishing news, Writing. Bookmark the permalink.